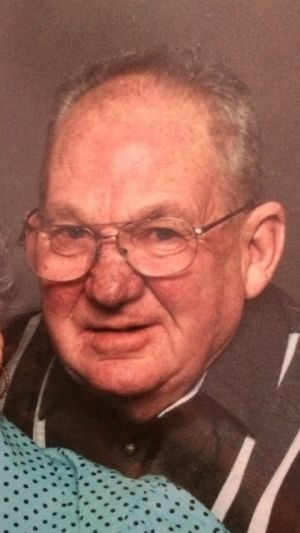 Clark Carriger, 79, passed away at St. James Hospital in the afternoon of July 16, 2014, surrounded by his loving family. Clark was born February 11, 1935, to Fredrick Jackson Carriger and Helena Katherine Sennett. He attended Butte schools and graduated from Butte High School in 1953. He married Marlene Bertrand on March 23, 1958. His favorite pastimes were hunting and fishing with his family and friends. Some of his best memories were playing softball with his greatest friends. The comfort and love he gave his 10 grandkids was “Smooth as Silk.” He loved his family more than anything in the world. In 1959 Clark went to work as an electrician for the Anaconda Co. He retired in 1979 due to a work-related injury. He was preceded in death by his parents and two brothers, Jack and Lloyd. Clark is survived by his wife of over 56 years Marlene Bertrand Carriger; sister Kay Kelly; sons Richard Mark & Paula Carriger; David Clark and Sherrie Carriger; daughter Lorelyn Lee O’Leary; 10 grandkids and three great-grandkids. Thank you to everyone who touched Clark’s life and made him laugh. He will be missed and loved very much. Thank you to his physicians and healthcare providers for making him comfortable in the end. To honor Clark’s wishes there will be no funeral services. He has asked everyone to have a shot of Kesslers and a can of Rainer beer on his behalf. Heaven just gained another angel, we just lost another . . . .